The University of Hamburg (German: Universität Hamburg) is a comprehensive university in Hamburg, Germany. It was founded on 28 March 1919, having grown out of the previous General lecture system (Allgemeines Vorlesungswesen) and the Colonial Institute of Hamburg (Hamburgisches Kolonialinstitut) as well as the Akademic Gymnasium. In spite of its relatively short history, five Nobel Prize Winners and serials of scholars are affiliated to the university. University of Hamburg is the biggest research and education institution in Northern Germany and one of the most extensive universities in Germany. The main campus is located in the central district of Rotherbaum, with affiliated institutes and research centres spread around the city state. Progress was made however, since proponents of a university founded the Hamburg Science Foundation (Hamburgische Wissenschaftliche Stiftung) in 1907 and the Hamburg Colonial Institute in 1908. The former institution supported the recruitment of scholars for the chairs of the General lecture system and funding of research cruises, and the latter was responsible for all education and research questions concerning overseas territories. In the same year, the citizenry approved a construction site on the Moorweide for the establishment of a lecture building, which opened in 1911 and later became the Main Building of the university. However, the plans for the foundation of the university itself had to be shelved, following the outbreak of the First World War. After the war, the first freely elected senate choose von Melle as mayor. He and Rudolf Ross made a push for education reform in Hamburg, and their law establishing the university and a Adult high school finally went through. On March 28, 1919 the University of Hamburg opened its gates. The number of full professorships in Hamburg was increased from 19 to 39. Both the Colonial Institute and the General Lecture system were absorbed into the university. The first faculties created by the university were Law and Political Science, Medicine, Philosophy and Natural Sciences. During the Weimar Republic, the university quickly grew into importance. Several thousand students were continuously enrolled, and it drew scholars like Albrecht Mendelssohn Bartholdy, Aby Warburg and Ernst Cassirer to Hamburg. The number of full professors had by 1931 grown to 75. Because many students were suffering due to the bad economic situation that prevailed in the early republic, the Hamburg Association of Student Aid was founded in 1922. Ernst Cassirer became principal of the university in 1929, one of the first Jewish scholars with that role in Germany. The academic situation shifted quickly after the general election in March 1933. Already on May 1 of that year – the university held a ceremony to honor Adolf Hitler as its leader. Massive political influence by the Nazis followed, including the removal of books from the libraries and harassment against alleged enemies of the people. About fifty scientists, including Ernst Cassirer and William Stern, had to leave the university. At least ten students working with the White Rose in Hamburg were suspected and arrested; four of them died in custody or were executed. In the foyer of the lecture hall a design by Fritz Fleer commemorative plate was taken in 1971 in memory of the four resistance fighters. After the Second World War, the university was reopened in the winter of 1945 with 17,800 employees. Out of the 2,872 students who were enrolled at the University of Hamburg in the first postwar semester of 1945/46, 601 had been admitted at the Philosophical, 952 at the Medical and 812 to the Faculty of Law and Political Science. The smallest number joined the Faculty of Mathematics and Natural Sciences with 506 students in total. The first student association during this period was elected in 1946 under British supervision, and it formed the foundation of the AStA in 1947. During the West German era, new departments were added to the university, most notably the Faculty of Theology as well as the Faculty of Economic and Social Sciences in 1954. The late 1950s and early 1960s saw a lot of construction: the Auditorium and the Philosopher's Tower where inaugurated near the Von-Melle-Park, while the Botanical Institute and Botanical Garden were relocated to Flottbeck. The university grew from 12,600 students in 1960 to 19,200 in 1970. A wave of protests during the student movements of 1968 sparked a reform of the university structure, and in 1969 the faculties were dissolved in favor of more interdisciplinary departments. Student and staff involvement in the administration was also strengthened, and the office of Rektor abolished in favor of a university president. However, parts of the reform were later rescinded in 1979. Further construction in the 1970s also built up the remaining space on the main campus of Rotherbaum quarter, with the Geomatikum building and the Wiwi-Bunker (named for its bunker-like architecture) being the distinctive addition for that decade. Since then, new properties were opened in other parts of Hamburg. Two newly constructed buildings were opened adjacent to the Main Building in 1998 and 2002, revitalizing the Moorweide area of the university. In 2005, the Hamburg University of Economy and Politics was merged into the University of Hamburg by a political act that was opposed by both institutions. With the same act, the 17 departments were merged and restructured into six faculties. The university had also become used to regular cuts of its budget by the federal state of Hamburg. The implementation of the Bologna process was another major point of contention during that decade. Tuition fees were introduced at 500 euros in 2006, but later reduced to 375 euros and fully abolished in 2012. Over 180 properties, scattered throughout the city, make up the University of Hamburg. The Main Building stands on the Moorweide opposite Hamburg Dammtor station, not far from the main campus at Von-Melle-Park. The State and University Library Hamburg, the Audimax (Auditorium) and several other teaching buildings are all located in that area. A second cluster of university buildings are grouped around Martin Luther King Square in the same quarter. The Geomatikum marks the western end of the campus, near Schlump Metro Station. 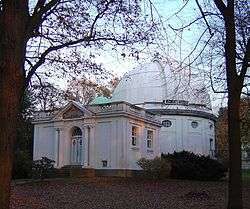 Several departments are located in other quarters: Physics is spread over branches at Jungiusstraße, Bergedorf (along with the Hamburg Observatory) and Bahrenfeld (with the world-renowned DESY and other facilities). Biology has locations in Flottbeck, while Computer sciences were moved to Stellingen in 1991. The medical school is located in the University Hospital Hamburg-Eppendorf. The annual recruitment of about 7,000 freshmen contributes to the current total of 41,000 students, out of which 6,000 graduate every year, including around 900 with a doctorate. Students can choose from 149 different majors which are offered by six faculties. 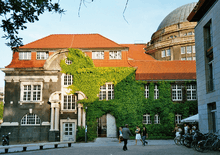 With almost 700 professors engaged in teaching and research, the University of Hamburg is the largest in Hamburg. In addition, over 3,600 academic staff and 6,100 administrative and technical staff members are employed in the university. The University of Hamburg supports seven Collaborative Research Centres (German: Sonderforschungsbereiche) sponsored by the German Research Foundation. In October 2012, the university chair decided not to participate in national or international rankings in the foreseable future, stating the administrative expenditures needed as a main reason. The small sample size used by many rankings and their methodology have also been criticised. However, the University of Hamburg is still being featured in international rankings. According to the QS World University Rankings, it was placed 186th globally in 2013, with Arts and Humanities being the highest ranked subjects at 98th place. The Hamburg State and University Library Carl von Ossietzky contains over 5 million volumes and is the biggest academic library in the Hamburg metropolitan area. It is also used as a legal deposit and archive for the city state. The establishment of the library can be traced back to 1479. It owns a large number of special collections and items of historic value, including medieval manuscripts. Hamburg University Press is also part of the library system. 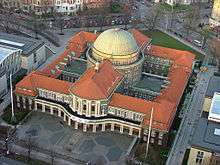 The University of Hamburg oversees three museums: the Zoological Museum Hamburg, the Mineralogical Museum Hamburg and the Museum of Geology and　Paleontology Hamburg. All of them are located on the central campus grounds. It is also one of the two founding members of the China-EU School of Law in China, which contains 16 member institutions for providing mid-career training, master's degree and joint doctoral research in China-European Law. Hein Kötz - Director of the Max-Planck-Institute for foreign and international private law (MPI-PRIV), the Bucerius Law School and Vice President of the Deutsche Forschungsgemeinschaft. Jens Marklof – Mathematician and physicist. Winner of the Whitehead Prize. Jože Pučnik - Known as one of the "Fathers of Slovenian independence from Yugoslavia"
Leo Strauss – political philosopher well known for US Esotericism. Wolfgang Paul – Winner of Nobel Prize in Physics in 1989, founder of the DESY. ↑ "German universities face funding fears as states scrap fees". The Guardian. 2011-03-15. Retrieved 2013-11-18. ↑ "Gebäudeinformationen". University of Hamburg. October 23, 2013. Retrieved November 30, 2013. ↑ "Zahlen und Fakten". University of Hamburg. July 2, 2013. Retrieved November 30, 2013. ↑ "Schotten dicht". Die Zeit. October 12, 2013. Retrieved November 30, 2013. ↑ "Universität Hamburg Rankings". QS Top Universities. Retrieved November 30, 2013. 1 2 3 "All Nobel Prizes in Physics". NobelPrize.org. Retrieved February 18, 2011. ↑ "All Nobel Laureates in Physiology or Medicine". NobelPrize.org. Retrieved February 18, 2011. ↑ "The Nobel Prize in Physics 1989". Nobelprize.org. Retrieved February 18, 2011. Wikimedia Commons has media related to University of Hamburg.